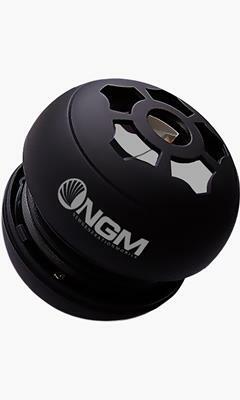 The NGM Mini speaker Globe is a portable speaker that connects to the phone via the 3.5mm jack for listening to music with the speakerphone. 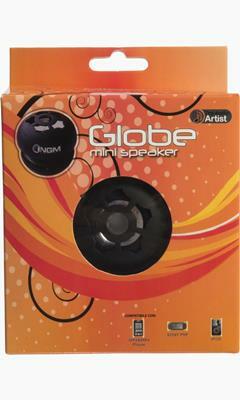 The built-in lithium battery ensures an autonomy of 11 hours in playback, perfect for when you're on the go! When using the the speakers, BXS (Bass Xpansion System) replicates the effect of a sub-woofer, for even more powerful bass tones in a tiny speaker. Since it has a standard headphone jack, NGM Globe is compatible with mobile phones, smartphones, laptops, tablets, and any media player with a 3.5mm jack output. It is charged through the connection to the USB port of a PC/laptop or mains power supply through the equipped Mini-USB cable.